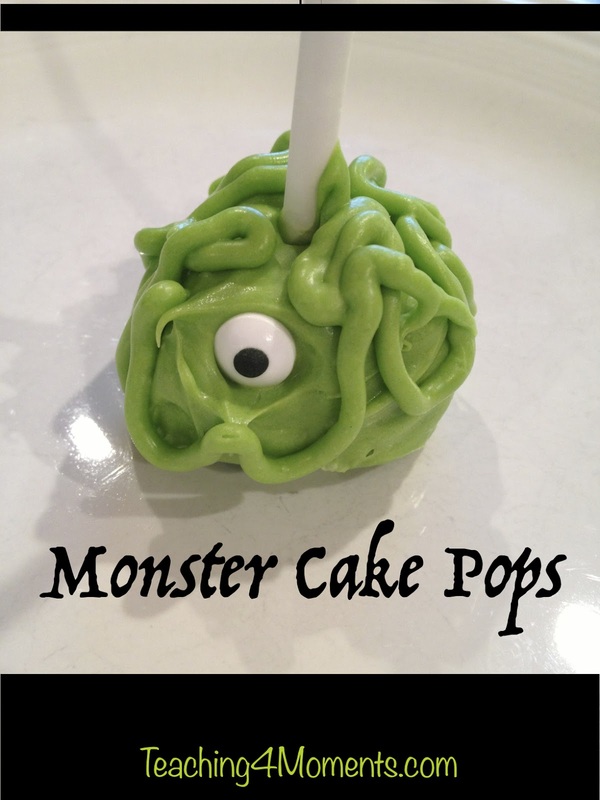 Make Monster Cake Pops with your kids! Make these cute quick treats with your kids for Halloween! They're fast and easy and your kids will love how they turn out. 1: Bake any flavor of cake-a box cakes work great! 2: After cake is cool, crumble cake with your hands. Stir in about a cup of frosting and form the cake into small balls. 3: Melt in a microwave (slowly) or on the stove, your choice of melted chocolate. Place candy stick into each ball and dip them individually into the chocolate. Set cake pop off to the side while it hardens. 4: To add the squiggly lines onto the cake pop, place melted chocolate into a plastic bag and cut off a small corner. Squeeze the chocolate out and cover cake pop. Add an edible eye (or more) to the monsters and you're done! Hi, I'm Nicki! I'm a mom of 4, a former public school teacher, and headmaster of our homeschool family! Follow along on my journey as I try to make the best of the many teaching moments that come my way. Copyright © 2014 Teaching 4 Moments. Picture Window theme. Theme images by deepblue4you. Powered by Blogger.